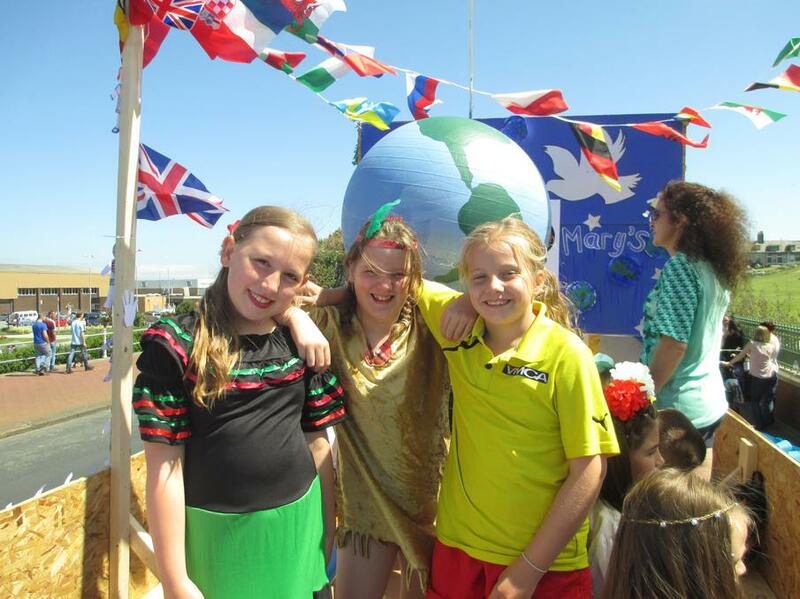 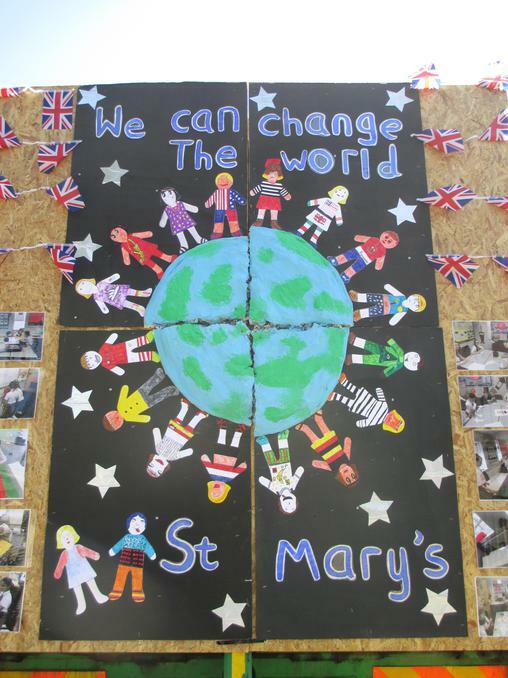 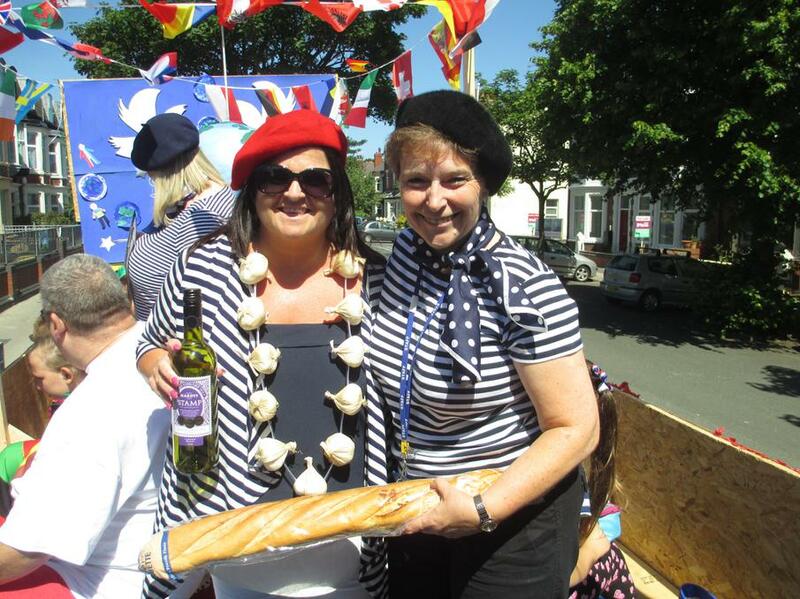 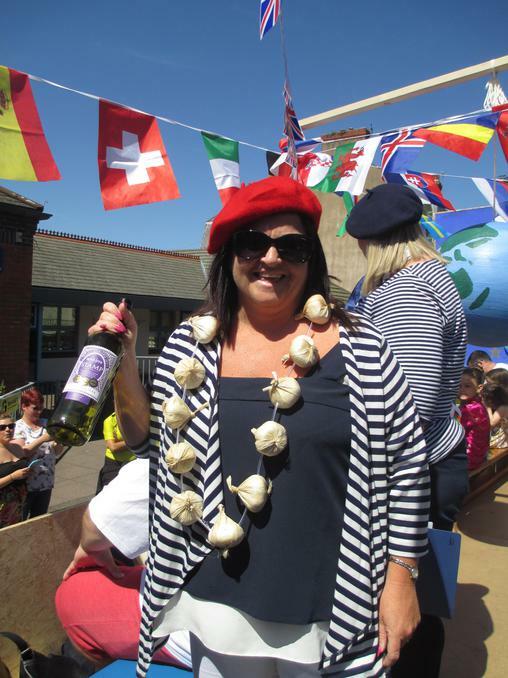 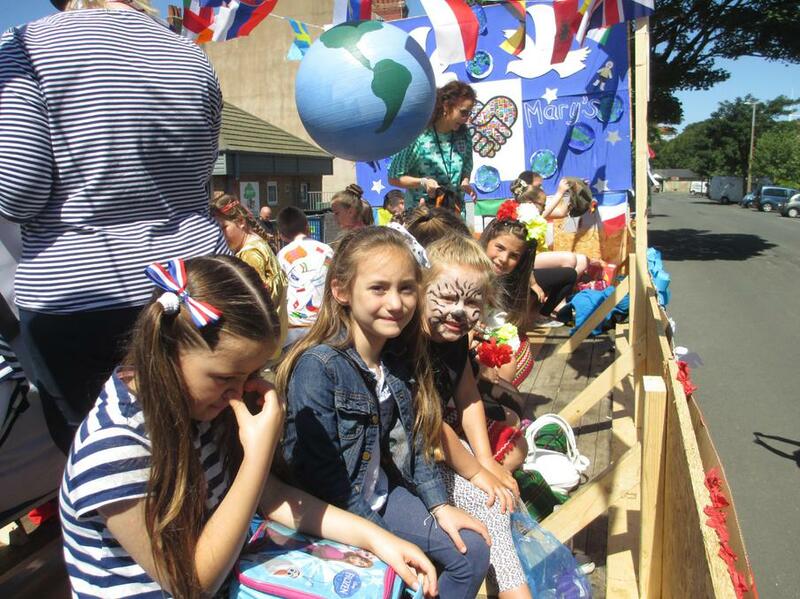 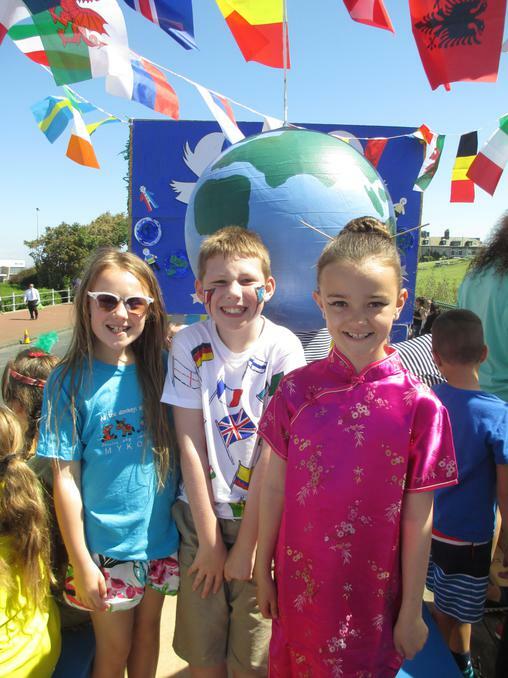 The Friends' of St. Mary's especially Mrs Brand (Scarlett's Mum) did a brilliant job at organising this year's float. 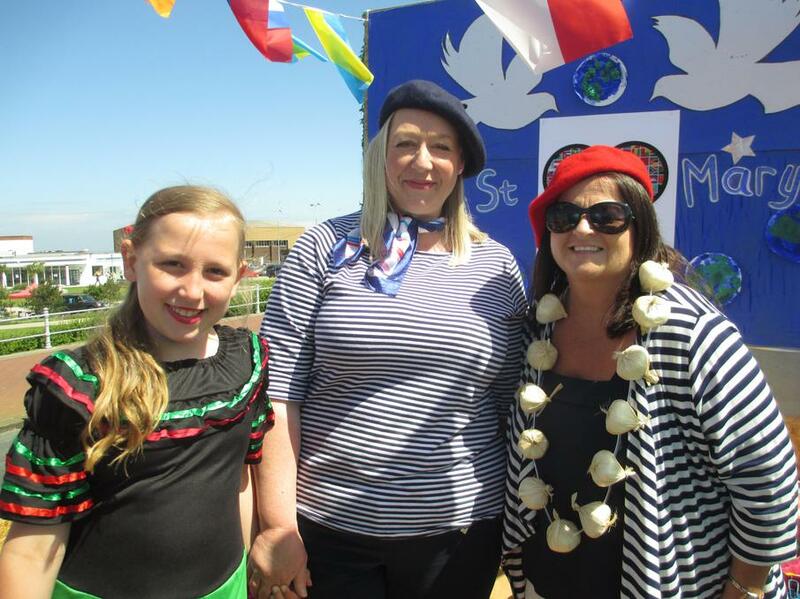 Our theme was about joining everyone together in our world and that we are all one. 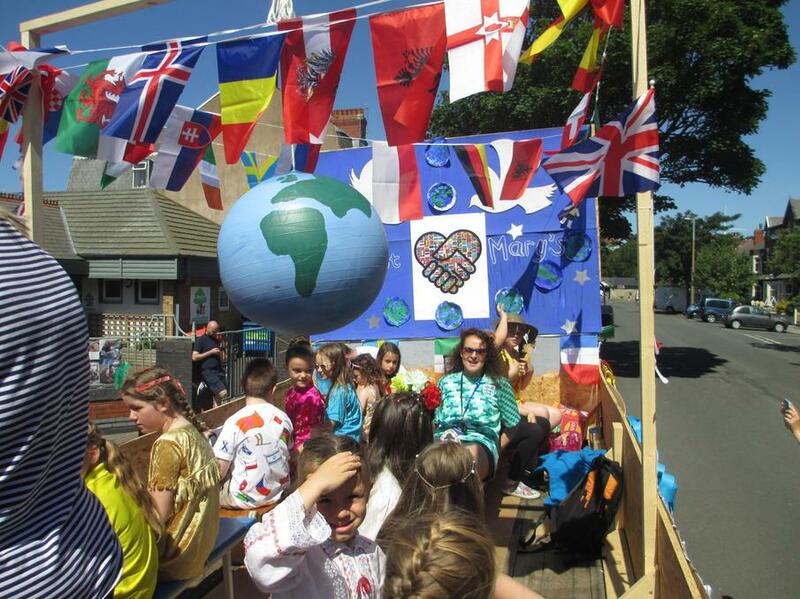 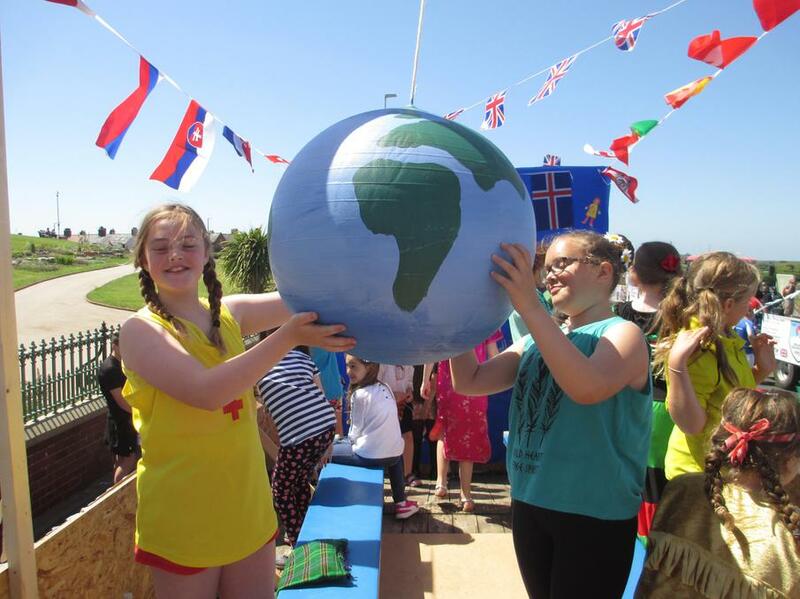 Children from classes contributed, as well as parents coming into school during the day and after school to put together our fantastic float. 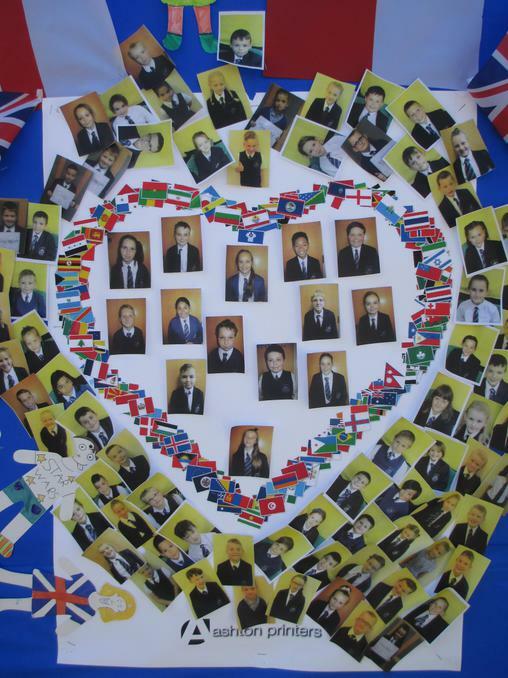 We appreciate it very much!